The New England Regional Art Museum (NERAM) book club read The Mountain by Drusilla Modjeska (Penguin, 2013) in conjunction with the exhibition Piksa Nuigini: Photographs by Stephen Dupont. Both Rika and Leonard try to capture the people of Papua New Guinea, Rika with a camera and Leonard through anthropological film. What do you think the book is saying about such acts of representation? How do you think this presence of colonial power shapes Rika and Leonard’s acts of filming and photography? How do you think these dynamics play out in the Dupont exhibition? At the centre of The Mountain is the love story between Rika and Aaron. What are some of the difficulties the couple face? What do you think the novel is trying to say about the relationship between Europeans and the people of Papua New Guinea via this central love story? In the second half of the book, Jericho returns to the Mountain and the Fjords. What do you think the novel is trying to show about this character, who has family connections globally and often experiences dislocation when he thinks of home? Modjeska describes The Mountain as a ‘passionate response’ to having known ‘this beautiful, heart-breaking country’ and its movement from the high expectations that preceded Independence in 1975 to the current realities of corruption, logging, and the too-often dysfunctional government. Do you agree that this is the work the book does? New England Regional Art Museum’s powerful exhibition Myall Creek and Beyond invited Aboriginal Australian contemporary artists Robert Andrew, Fiona Foley, Laurie Nielsen and Judy Watsonto respond to the history and significance of the Myall Creek Massacre. The exhibition was curated by leading Indigenous curator Bianca Beetson. In conjunction with this exhibition, the book club read Taboo by Kim Scott (Pan McMillian, 2017). Taboo was recently shortlisted for the Miles Franklin Award, an award given to a book of the ‘highest literary merit’ than shows ‘Australian life in any of its many phases.’ Do you think the novel deserves to be shortlisted? Why or why not? How does the past have an impact on the characters in the novel? Taboo raises questions about whether, given Australia’s violent past and ongoing intergenerational trauma, reconciliation is possible. What are some of the barriers to reconciliation for the characters in the novel? How does the novel suggest they might be overcome? What are the similarities between the fictional massacre depicted in Taboo and what you know about Myall Creek? Can parallels be drawn? The novel opens with the surreal image of a figure emerging from spilled wheat, and ends with the same image. By the end, the reader has learnt the figure is Wilfred’s creation. Why do you think Scott chooses to begin and end the book in this way? I’ve been quiet for a little while after my move to Uralla, New South Wales. I’ve settled down and been welcomed by the New England community. I was particularly happy to be invited by Rachel Parsons, director of the New England Regional Art Museum (NERAM), to facilitate their book club. I have some more thoughts about the value of book clubs, which I shared in The Conversation a while back. And to hold a book club alongside an art exhibition is particularly special as the conversation flows between text and artwork and back again. Of course, it’s the people and the conversation that make up the actual book club discussion, but I was asked to share my questions for those who couldn’t attend, and I’m more than happy to do so. The first book club ran in conjunction with the unveiling of NERAM’s Howard Hinton Collection. Hinton was an avid collector of Australian Art from the 1880s to the 1940s, and he gifted his collection to NERAM. I selected Autumn Laing by Alex Miller (2011, Allen and Unwin) to discuss alongside this rich and broad exhibition. What do you think the novel says about the role of collectors and sponsors in the Australian art world? What roles do you think collectors like Reed, and Hinton at NERAM, play in the shaping of ideas about Australian art? Author Alex Miller says he started out writing the novel based on Sidney Nolan, but Autumn’s voice took over. What might this suggest about the role of women in narratives about Australian art history? 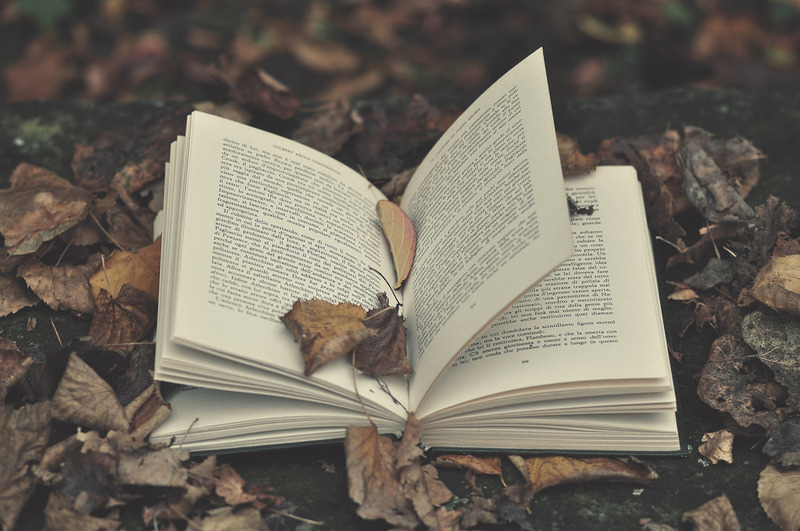 One review describes the older Autumn as ‘A cranky, fiery woman of 85, Autumn is flatulent, impatient, and furious at the indignities and ravages that old age has wrought upon her.’ What was your reaction to Autumn? What does this say about our expectations of female narrators? At other times, Autumn is depicted as remorseful for the harm she has done to Edith, Pat Donlon’s wife. She is also shown as damaged by her active sexual life as a young woman and in need of her husband’s companionship to keep her safe. Do you think this novel is a moral tale? Why or why not? The novel is partly fictional memoir and partly based on real people. How do you think we as readers should understand these kinds of hybrid texts? Why do you think Miller choose to invent rather than write a history or biography? Although Miller writes fiction, he shows Autumn writing her memoirs and includes a biographer, Adeli Heartstone. Why do you think this is? What does the novel suggest about the nature of artists and those who are draw to the art world? 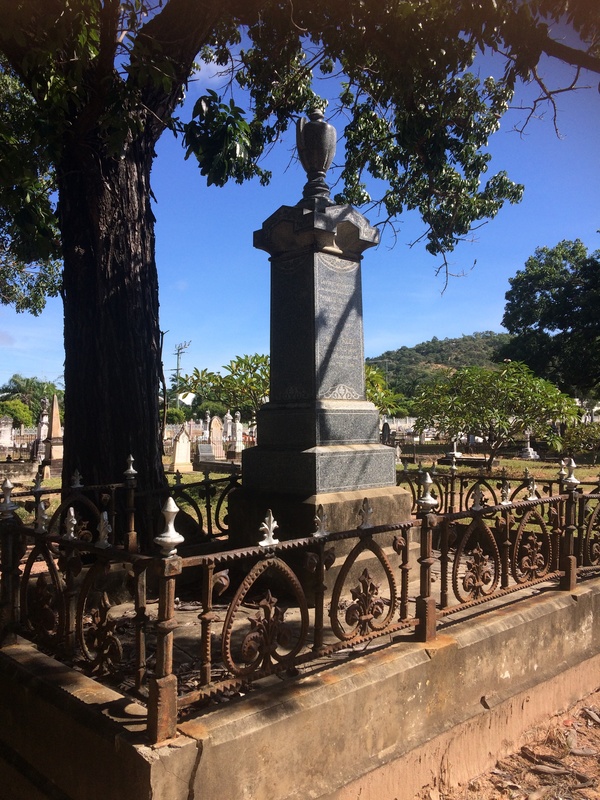 As part of an event organised by the English Teachers’ Association Queensland, I created a walking tour and teaching resource. It offered hands-on ways to use creative writing, research, imagination and empathy to engage participants with the local history in the West End Cemetery and to think about how the past lives on in the present. The walking tour focuses on voices that are often marginalised or silenced in the historical record because of class, culture, or gender. Hearing and writing these stories invites students to think about the gaps and silences in the historical record, as well as ways the past is constructed, and the implications of such representations. Participants were invited to consider the emotional significance of the past. The cemetery is built on the traditional lands of the Wulgurukaba and Bindal People, the first people to have lived in this region. 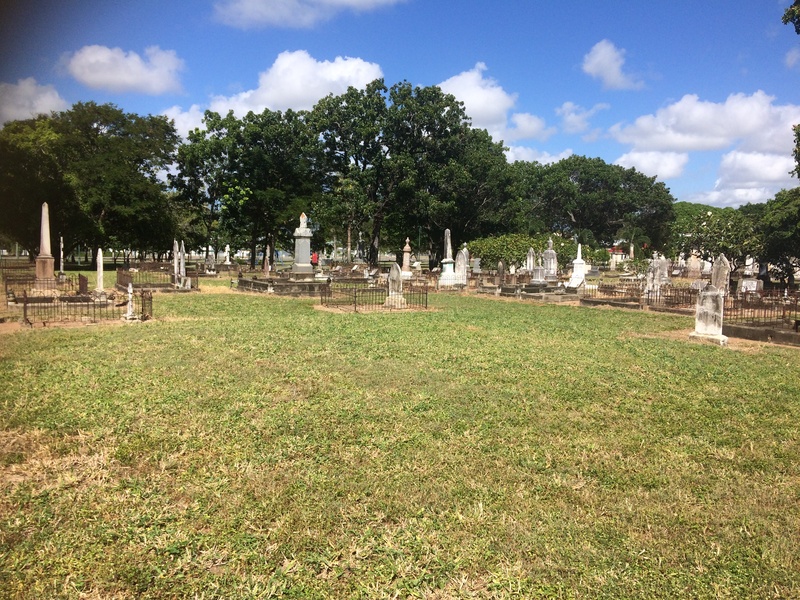 The cemetery was Townsville’s General Cemetery from around 1868 to 1902, with burial records dating from 1873. It’s an example of a Victorian cemetery and features much of the symbolism favoured during the late nineteenth century. It is estimated around 7900 to 8000 people are buried here. However, only 2210 are marked by a monument grave; some bodies are buried together in family plots, some marked only by a small marker in the ground, and others are unmarked. The tour took participants to sites that reveal contrasts, absences and hauntings, as well as the deeply emotional and symbolic ways that people make sense of death and grief. For example, Thomas Foley was a Member of the Legislative Assembly, unionist, and an Alderman for the Townsville City Council. In the early 1890s, Foley campaigned for his daughter Mary, a state scholarship winner, to attend Townsville grammar school. Mary Foley became the first girl to attend the school, making it a co-educational grammar school from 1893. In contrast to the monument of this wealthy family is an unmarked mound in the middle of the cemetery. It is thought to be a mass grave, perhaps belonging to orphan children, although little is known about who they are or how they died. We do know that the first orphanage in Townsville was opened in 1879 in North Ward; before then, vulnerable orphan children were sent to Brisbane and Rockhampton (See: Gibson-Wilde, Dorothy. 1984. Gateway to a Golden Land: Townsville to 1884). In the past when the cemetery was surveyed, it was divided into blocks, organised by religious denomination. Block E, on the other side of the gully, was called a ‘Chinese cemetery’ in early records. However, a 2004 geophysical survey showed that 65 people were buried in this block from a diverse range of cultural and ethnic backgrounds, including Chinese, Japanese and South Sea Islanders. 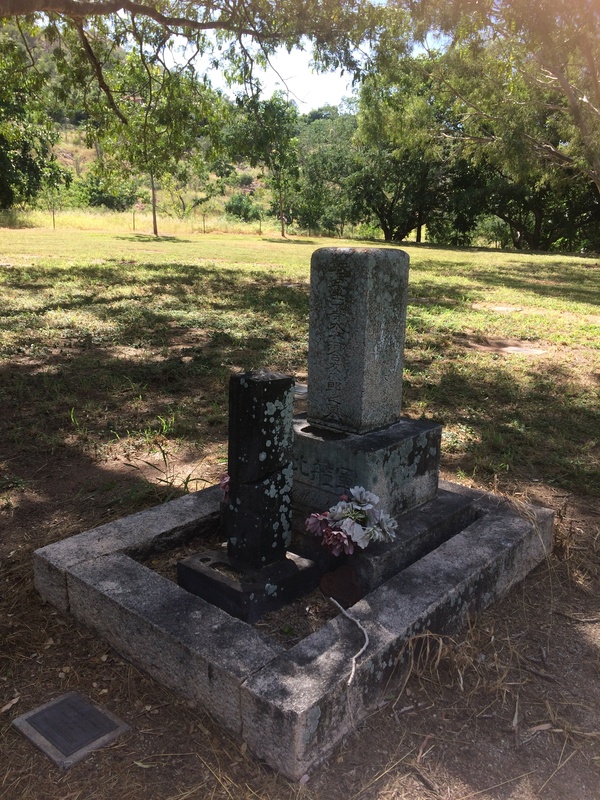 Until 2005, when the Townsville City Council erected markers for these graves, the burials here were unmarked and the area was not as well maintained as areas on the other side of the gully. No one knows for certain why these people were buried on the other side of the gully, but it seems to be because of a mixture of race, religion, and cause of death (See: Stanger, Ross, and Roe, David (2007). ‘Geophysical surveys at the West End cemetery, Townsville: an application of three techniques.’ Australian Archaeology, 65. pp. 44-50). The booklet is available here for download. You’re welcome to freely use and adapt this resource for your classes and teaching. I’m very interested in the way regional writers form communities of practice, and how they navigate sharing their work in areas where there may be no visible publishing industry. So, on Tuesday 8 November 2016, I worked with Townsville Writers and Publishers Centre to organise an event where five Townsville writers spoke about their publishing journeys, and highlighted the many approaches and attitudes to sharing writing with an audience. Steve Coleman described how he published three illustrated children’s books, The Ant’s Pants, The Bee’s Knees and Naree the Fire Lady through XLibris, a self-publishing and print-on-demand company. Steve found this company good to work with because they were up-front, he could speak with a company representative, and they suited his lifestyle. XLibris conducted a proofread for typesetting/formatting (the illustrator prepared the book to print-ready stage). However, he only published 100 copies, which was just enough to cover the costs outlayed initially. Steve went on to publish Jodi and the Turtle, which was a collaboration with graphic designer and artist Sabine Carter. Sabine was able to typeset the book, and because of this, no publisher was needed; Steve used a printer in Freemantle (Fonteine Publishing Group) to print 1000 copies of the book, which was launched at the aquarium in Townsville. Steve has since approached a distributor to have Jodi and the Turtle in bookshops. As a result of getting a distributor, Steve is now half-way to breaking even on the book. Steve promoted his books at local markets and writers’ festivals. He went on a tour around the Tablelands, and organised signings at the local bookshops, libraries and Kuranda markets. Steve also created his own publishing company, Green Tale Publishing, to increase his visibility and trust with retailers. His latest work, published by Global Publishing, Melbourne, is an adult, self-help book: Decisions, Decisions! How to Make the Right One Every Time around which he has built a self-education business. Michael Huddlestone shared his experiences self-publishing a short story anthology with the speculative fiction writers’ group and short stories as ebooks online on Smashwords. For Michael, the benefit of Smashwords is that it’s free. It also has a big distribution network including Barnes and Noble and Kobo, although it does not include Amazon. Michael published all his short stories for no cost to readers, and the anthology, The Typhon Expanse with the Townsville Speculative Fiction Writers Group, which retails at US$1.99. For Michael, the hardest part was getting the stories ready to load. You have to follow the Smashword style guide to the letter, and the work would not go to distributors like Kobo if it did not meet Smashword’s minimum requirements—to follow their style guide. Michael also shared how he used the program Canva to design covers. He described how he got royalty free images and edited them using the photo editor, Picmonkey. Michael talked about using your author’s platform, particularly your website, to promote yourself. He mentioned that heatmap.me (https://heatmap.me/ ) is used to track where on your site the visitors mostly go. It can’t track where the visitors are located. This can be done through your website’s domain analytics (depending on who you go through and whether it is a paid domain or not) and Google Analytics, SEMRush, AWStats can also help but may require a bit more technical know how then just a basic user. After the meeting, Michael also said that when it comes to social media (Facebook, Twitter etc), a trap that many people find is that they push out work without engaging with their followers. A good rule to have is the 80/20 rule. 80% of the time you should be engaging your followers by positing articles that you as a person find interesting, or things you are up to, for example, participating in NaNoWriMo, heading to Spec Fic meeting, etc. This 80% of your posts engage your audience so they know more about you as a person/author without the hard sell of reading your work. The 20% of posts should be your ‘advertising’ of your published work. Please note that posts like “Only 3 more days to the launch of The Darkness Within. I’m excited” is classed as a personal post and in the 80% category because you are not pushing your followers to read it. Lori Hurst described how from childhood, she’d nurtured a dream of writing, hoping one day readers would open her book and lose themselves in the world she had created. Life in the form of family, business commitments and so on meant putting her dreams on the backburner. After doing a Creative writing course & then a BA, Lori became involved with historical research which formed the basis for her two books A Hint of Darkness and The Journey of Emmaline. The difficulty of first finding an agent and then a publisher decided her on the self-publishing path. As an independent author she recognised how easy it is to be placed in the “vanity publisher” category. Thousands of authors are actively removing themselves from that disparaging label by proving that as independent authors they are entrepreneurs, determined to get their books out to the reading world in style. Lori described herself as a professional who placed high standards on her work, adding that publishing in any form requires team work. She emphasised the benefits of belonging to a writer’s group, had her manuscripts professionally edited and worked with a local Illustration and Graphic Design artist to create the covers for her books. One reason Lori chose to go with CreateSpace to self-publish was the autonomy this form of publishing allowed with regard to titles, covers, price setting etc. CreateSpace also provides world-wide distribution. Lori is selling her books for $14.99 each. Unfortunately keeping the price this low means she cannot sell them through bookshops. However, her books are available online as paper copy or ebooks. Lori will be running a workshop next year on Publishing through CreateSpace at Thruingowa Library (date to be advised). The downside of independent publishing is understanding the process of formatting your manuscript as prescribed by the publisher. You own any mistakes. This is an area I will be concentrating on at the workshop. Once you know what you are doing the rest is easy. Lori’s book launch is at The Drill Hall Studio, Townsville, 18 November 2016. Ariella will be doing the opening. In January 2016 there was 1,064,000 paid downloads per day from just the Amazon.com site. However, the number of free books downloaded but this number changes so quickly it’s difficult to keep track. The number of books on Amazon.com (so not including Kindle, the mobile phone app or any other service affiliated with Amazon) at approximately 1:00am on 8 November (same day as the presentation) was 30,195,688. This included every type of book available including the ones that are apparently written by a robot who writes approximately 10,000 books a month. The robot is fed information and then writes the book from this information and, luckily, it only writes fact-based work such as textbooks, mathematical essays or business presentations. 12 hours later, at 1:00pm on 8 November, the number of books available had increased to 31,576,452 which was an increase of 1,380,764 books uploaded to site within 12 hours. These stats also show how big the publishing industry is, and how difficult it is to garner attention within it. But, these figures don’t stop publishing trends from happening, as 11 out of 38 of Amazon’s top best sellers were adult colouring books which shows that no-one can predict the market. Sue told us that because of a mystery illness, she found writing for National Novel Writing Month or NaNoWrMo to be incredibly fulfilling and as a result became the municipal liaison for North Queensland. Sue told us that the most famous books traditionally published and written during NaNoWrMo were Like Water for Elephants by Sara Gruen, which was made into a film with Robert Patterson and Reese Witherspoon, and Wool by Hugh Howey, part of the ‘Silo’ series. Sue’s own trilogy written during NaNoWrMo is currently being negotiated for a contract with HarperCollins. Ariella Van Luyn spoke about how her novel, Treading Air, was picked up by a small publisher based in Melbourne, Affirm Press, after she met her editor during a publication of her story in Overland, an Australian literary magazine. For Ariella, the collaborative work with her editor was invaluable. Ariella also noted how generous and caring the local writing community was, and how important such networks were. However, Ariella’s earlier work was rejected many times, and she abandoned one novel entirely. As a traditional publisher, Affirm Press paid Ariella a fee for her novel, and provide the editing, typesetting, cover, distribution and marketing for free. Ariella’s novel is available in most good book shops, including Mary Who?, Angus and Robertson Castletown, and book shops in capital cities. Ariella earns 10% commission on print copies of the novel and 5% on ebooks, with about 500 copies expected to be sold. It took her three years to write. Unlike self-published authors, she had no control over the distribution or appearance of her book, and had few copies to share. What is the difference between self-publishing, traditional publishing and independent publishing? The Australian book marketplace is dominated by the ‘big five’, commercial publishers: Pan Macmillan, Penguin Random House, Allen and Unwin, Hachette, and HarperCollins. In Australia, there are also smaller, independent publishers like Bloomsbury, Black Inc, Affirm Press, Text and UQP, among others. These group are the traditional publishers. They are competitive and receive many submissions. Often authors need agents before they come to the attention of these publishers, but some publishers do have open submissions at certain times. Traditionally published authors are paid a fee by their publishers and receive some royalties for the sale of their books, usually around 5-10% of the retail price of each copy sold. Publishers provide editing and other services. Copyright ownership may vary depending on the contract. Self-publishing companies offer writers a variety of packages to print and sell books. Generally, self-published authors pay fees to have their book published and distributed. Printing costs vary. Distribution costs may be between 20-50% of costs. Self-published authors are responsible for their own marketing and distribution. Often they are responsible for editing and any mistakes in the work as well. They usually retain copyright of their work, however some sites like Smashwords do mention copyright, so it is important to read the fine print about copyright before using these services. What things do I need to take into account when publishing? Why do you want to be published? You are going to need drive and resilience to overcome rejections, feedback, reviews, and other setbacks. Traditional and self-published authors experience many ups and downs in the journey. Is your work ready to be published? Do you have a group of critical friends who can give you feedback? An editor? Perhaps you could pay for a manuscript assessment? Have you considered developing your skills through study and short courses? What can you realistically afford? This is particularly important with self-publishing. Beware ‘predatory presses’ and aggressive marketing. What time and commitment are you willing to give? Self- and traditional publishing takes a lot of effort. Be prepared for this. Traditional? Manuscript assessment? Agents? Open submissions? Who else can help you? You may need to collaborate with designers, illustrators, editors, marketing and media. This session showed that there was a generosity of spirit in the local community, so please connect and ask questions! Texta, the bespoke book club that runs alongside art exhibitions at the QUT Art Museum, featured Treading Air this week. Dr Liz Ellison and Dr Penny Holliday, who facilitate the conversation, put together some book club questions. Feel free to download them to start a conversation.